A 38 foot Bertram, the "Double Jeopardy" is the Cadillac in her class of convertible sportfishing boats. She sleeps four guests very comfortably in two staterooms, has a bathroom, shower, and full galley. Her flying bridge seats 7 and is fully enclosed. Six lines can be fished from her spacious cockpit. 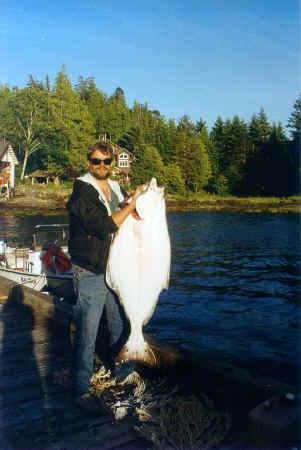 Your captain, Mike Holman, has fished these waters for 22 years and holds a U.S.C.G. 25 ton master's license. The Double Jeopardy is the finest vessel in the fleet. 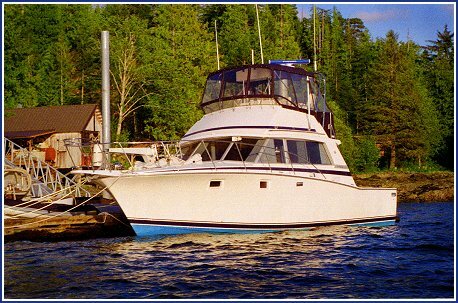 Other lodges only offer 24-30 foot gasoline powered boats with no deckhand. The Double Jeopardy has twin Caterpillar diesel engines and will keep you warm, dry, and safe in all weather conditions.